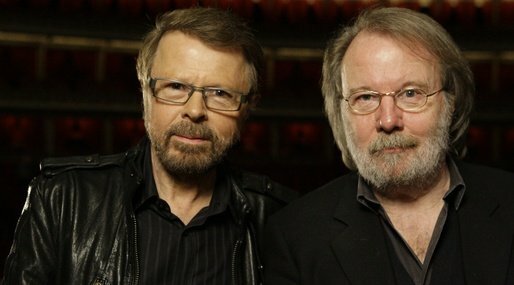 Abba’s former members Benny Andersson and Bjorn Ulvaeus are to perform on stage at the finale of the Olivier Awards at the Royal Opera House in London. Benny Andersson and Bjorn Ulvaeus will appear with the current London cast of the musical Mamma Mia! to celebrate its 15 years in the West End. Hit musicals Charlie and the Chocolate Factory and Stephen Sondheim’s Merrily We Roll Along are the most nominated shows, with seven nominations apiece. Gemma Arterton and Stephen Mangan are co-hosting this year’s ceremony. The Olivier Awards, the biggest event in the UK theatre calendar, are taking place at the Royal Opera House in central London.